BBL is a large ban light source developed by Sciton, USA. The system has been used effectively for treatment of skin problems in Europe and USA for a long time. Sciton BBL provides us a method which also enables to rejuvenate the genetic material of the skin. It does not only correct the problems but also rejuvenate skin cells. A study conducted at Stanford University has revealed that this method rejuvenates skin about 10 years. Genetic material was seen to be effected and begin to rejuvenate. The skin which was applied BBL forever young twice a year for 10 years is seen to rejuvenate and keep this appearance for 10 years. A total of 3630 genes have been analyzed and rejuvenation was detected in 1293 gene expressions in the study conducted at Stanford University. Intra-cellular RNA rejuvenation, repair may be stated to have great importance in skin rejuvenation and repair. The procedure is applied with 2-4 week intervals as 1-5 sessions. The superior technology enables maximum penetration to skin. BBL determines the wave length of light depending on skin type. Skintyte 2 function which uses infrared wave length can firm even the most difficult skin. Large regions may rapidly be treated with the large probe which shoots 15/sec through superior and fast shooting technology. Wave length is determined according to skin type and sensitivity. Please see your doctor for more information about patented filtering system, shooting technology and filter types. BBL laser system of Sciton company was designed for achieving effective outcomes. Equipments and technology are high quality. While the system transfers the most proper energy, it is also focused on skin protection. Skin calming system prevents side effects through calming the skin according to the dose and skin color. Forever Young BBL is a comprehensive treatment and a permanent antiaging method and developed by Sciton with patented BBL technology. 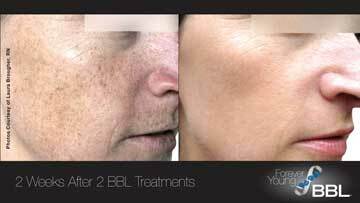 While BBL technology is focused on permanent rejuvenation, it also solves many skin problems. BBL system which is very effective for skin rejuvenation and skin firming is used as an alternative to ultrasonic skin firming methods. The most important advantage is not leading to skin reaction and being extremely comfortable. 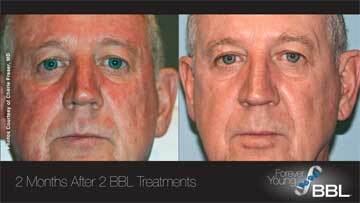 BBL Skintyte 2 enables fast rejuvenation. Its application is painless and comfortable, only a mild heat is felt during the application, while the peltier which keeps surface temperature constant, it also elevates the temperature of dermal tissue, required energy transfer is monitored with BBL device. When required energy is reached, application is done at other region. 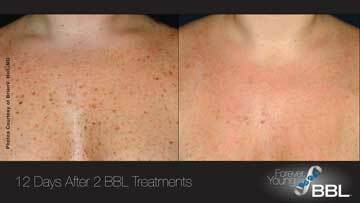 Although BBL is mainly used for skin rejuvenation, satisfactory outcomes may be yielded for some skin problems after several sessions.